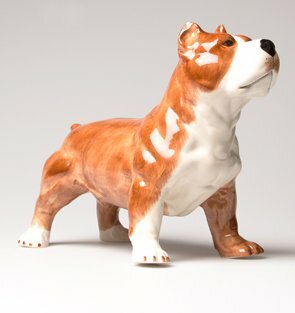 This chic Dog Money Box features a beautiful standing Pitbull Dog made from ceramic with a slot to put coins in on the dog's back. The coins can be emptied via the hole covered with a plastic seal underneath the dog. This dog is a fun gift and makes a quirky decoration in a bedroom, kitchen or on a mantel piece.